A majority of change initiatives/programs fail. A 2008 survey of 3199 executives by McKinsey found that only 1 in 3 transformations succeed. From what I see every day in the trenches the stats haven’t changed. 1. People charged with making the change happen don’t really believe in it and therefore their work is half-hearted at best. 2. Program is designed to take a long time and therefore the status quo will most likely remain. 4. People are not genuinely appreciated when they do well. 5. People are not held to account when they fail to perform as they agreed they would. 6. Measurements of progress are poor or non-existent. 7. Desired change is actually problem solving which usually means a return to the status quo rather than real innovation. 8. Intentions, emotions, and thinking doesn’t change and therefore any behaviour change that may happen doesn’t last. 9. There isn’t a real shared-view about why the change is crucial/essential. 10. 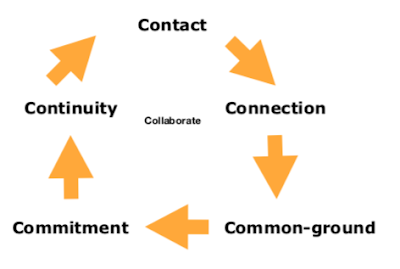 There isn’t a real shared-view on how the change will happen and who will do what, and when. 11. Leaders don’t understand all change is personal first, relationships second, and organisations third. 12. Leaders don’t personally change. 13. Broken relationships remain broken. 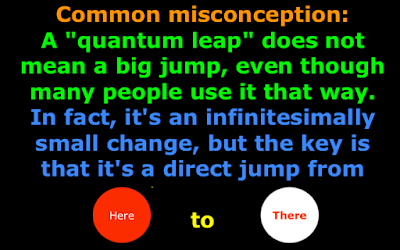 And then there’s the really big reason a majority of change programs/initiatives fail – people trying to take big jumps rather than transitional steps (quantum leaps). 1) Work harder on yourself than you do on your job. This is sage wisdom from the late Jim Rohn. Here's the fact - All change is personal first. When you're known and respected for working on yourself you'll have credibility when you begin to have conversations with people about possible change/s in your business. 2) Invest at least 20% of your time, energy and money working on your business rather than in it. This too is sage wisdom. It's from Michael Gerber. I'm continually amazed at how many business leaders don't actually know what's really going on in their business. A key reason is that every minute is spent doing and a consequence is not seeing. In the past week how many questions did you ask your employees and your customers about how they're feeling and what they're thinking? Your answer to this question is a key indicator of how much time, energy and money your investing in working on your business. Are you working with mentors inside and external to your business? Are you part of a master-mind or peer group? Both the above are essential components of working on yourself and working on your business. To not be engaging in both is a significant risk for your business and your well-being. PS If you answered no to the questions in number 3 above or you're looking for something unique join me for this candid and convivial conversation in camera online on July 29th.